Children are prone to getting into accidents, so it becomes the main responsibility of parents and other adults to make sure they avoid dangerous situations. This becomes more of a reality when inside or around a vehicle. Automobiles present a number of dangerous situations that everyone must be aware of while traveling. Without proper adult supervision, those dangers can become a real threat to a child’s safety. It is important to remember that the majority of dangerous situations can be avoided in the first place. 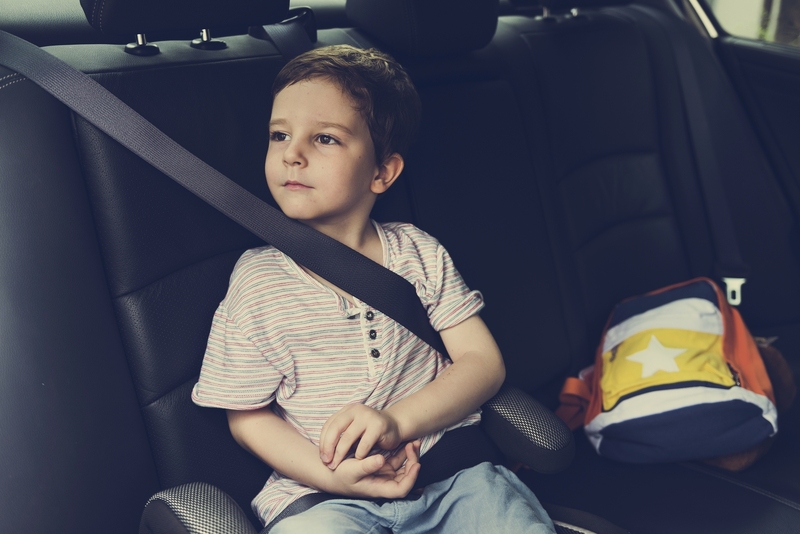 The following can help you keep your child safe in or near a car by preventing back-over accidents, power window injuries, heat strokes, and safety belt injuries. Typically, back-over accidents involve vehicles coming out or down a driveway and striking an unattended child. These types of accidents can cause injuries and deaths, so it is important to always be aware of where children are. It is wise to protect a child by knowing their whereabouts at all times before backing a car out of or down a driveway. It is also important to teach a child never to hide or play behind the rear end of a car, especially when it is moving backwards. Even if your car has a rear-view camera, never forget to confirm with the human eye that no children are behind the vehicle. This should always be done both before getting into the car and before reversing. Power windows can be dangerous to children and it is estimated that they cause hundreds of injuries a year. Typically, children are injured when a power window closes on their hand or fingers. In some severe cases, children have choked in the back seat because part of their clothing became entangled with the window while closing it shut. To prevent an injury from taking place with power windows, you must try to explain the dangers of playing with them to your children. You can secure your child’s safety by putting them into a car seat and using the safety locks immediately when getting in the car. Children are susceptible to suffering heat strokes inside a car. Although they can be easily prevented, these accidents still occur across the country on a regular basis. The biggest location of heat stroke cases is in the state of Texas, where the temperature is consistently warm all throughout the year. No adult should leave a child unattended inside a vehicle on a hot day, because this will increase the chances of a heat-related injury. However, this isn’t the only situation in which a heat stroke can take place. Children can suffer from them in cooler temperatures as well. If you see a child unattended inside a car in any weather, don’t hesitate to call the local authorities for immediate assistance. It is always important to make sure a child is safely secured with a safety belt or inside a safety seat before moving a vehicle. However, while seatbelts are considered a lifesaver, they can also be a detriment to the safety of a child if used incorrectly. A growing number of cases each year involve a child becoming injured after getting entangled with a safety belt. To prevent this situation from happening, it is best to know if the belt can lock if it is pulled all the way out to capacity. You should also verify that the safety belt cannot be opened by the child while the car is in motion. Buckle all unused safety belts and use the vehicle’s lower anchor device to secure the car seat in place before driving off. If you have been involved in a car accident, contact Attorney Dean Boyd. Call us today at (806) 242-3333 or Send Us an email for more information about our Services. You can also visit us at our office at 4423 SW 45th Ave in Amarillo, Texas or 5012 50th St #103 in Lubbock, Texas to see what we can do for you.